Wow, Meow. I have another character cat of author Marie Lavender here with me today. What is your name, pretty cat? Very mice name for a cat character. What book(s) have you appeared in? Please list them and their genre. I appeared in Directions of the Heart. This is a modern romantic drama collection. I’m not in a book series, but you could say there is a series since there are four different tales in the collection. I am only in one of them, however. That tale is titled “Strange Heat.” The story is about my owner, Victoria, who goes on a bizarre adventure when she pretends to be someone else for a week. One of the other stories in the collection includes a Golden Retriever. Uggh…dogs! Debbie has written stories with different cats, but I’m a regular in her series. In fact, I had my photo on the cover of her latest, Written in Stone. I had to beg her a lot for that, but, like most persistent cats, I got my way. Fido, my dog co-star, has yet to get his photo on the cover, even though he’s had some good parts in the books. Dogs just don’t have the finesse us cats do. Yes and no. In appearance, I am purely from the author’s imagination. But, when she knew years ago that people can have heterochromia (different colored eyes), she was always curious to find out if cats could too. And it does happen, in rare cases. Obviously! My demeanor, however, is based on a very sweet white cat she had as a child. The cat was named Princess. Though the kitty passed too early, her spirit stayed in Marie’s heart, and eventually came out on paper. Awww. Debbie also featured her special cat boy, Floppy, in her first book, Cloudy Rainbow. “I…I was attacked.” Lyssa’s voice sounded distant, like she was in shock. “Okay.” Then she heard the dial tone. Victoria dropped her book and left the apartment as fast as possible. Glancing back for a split second as the door shut, she saw Ivy lift a paw in the air, and one pink pad appeared, as if to offer her own support. “It doesn’t mean it didn’t occur,” she spat out. “Of course.” The cop stepped away. Victoria could only shake her head. The police looked about done besides. She pulled up a chair near Lyssa and wrapped an arm around her. “It’s okay, honey. Everything’s gonna be all right,” she murmured, uncertain how true that was. The cops stayed for another half hour to make sure they didn’t miss anything, then left. They promised to post a unit outside, to keep an eye on things. Her friend seemed less unresponsive after a while. She threw some teal pajamas on and prepared for bed. She shook her head. “Look, he didn’t go too far, didn’t…well, you know. The neighbor heard me screaming.” She rubbed at her eye, as if she’d been hit. A weird moment of silence sprung up between them. “I know what you’ll say,” Lyssa accused. “No, Lyssa. I would never say that.” Victoria bit her lip, considered her friend’s reaction. Sometimes they acted more like sisters than friends, which was both distressing and encouraging. Purrfect, and I loved your dramatic acting in that scene, lifting your paw. I like that Victoria falls back on me for support when her plan goes awry. It’s always good for human co-stars to ask for our assistance. I am fairly silent in the book, but I try to be as helpful as I can. Love your owners, and do your job as well as possible. Behind the scenes, Victoria and I are really close. I am quite close to Alicia and Laura, and now Gilly, too. John is okay for a guy who likes dogs. Not that I know of, but Marie is always a surprise! So is Debbie, but I use my feline wiles on her to get her to fill me in on her plans. In fact, I’m going to write a guest post for your author about what I’ve uncovered soon. Looks like you caught them. Concats, and thanks for being here today, Ivy. I always enjoy intermewing pretty girl cats expecially those with lovely two-color eyes like yours. Maybe we can continue our chat on a cozy couch somewhere. 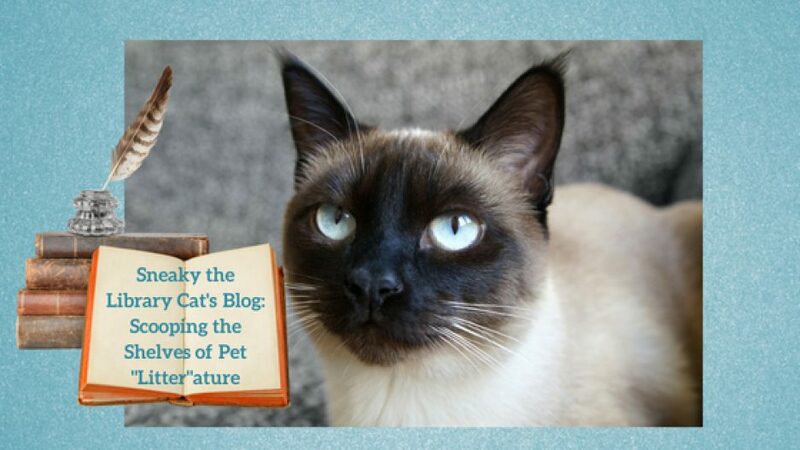 Ivy the cat from DIRECTIONS OF THE HEART visits this cool kitty blog! What a gorgeous cat! Thanks for the blog post! Cool books!